An opportunity to celebrate the 50th Anniversary of the Valpolicella DOC in Verona, Italy, as well as participate in the first Valpolicella Education Program offered a chance to unlock the mysteries of the seductive powers of their great wine, Amarone della Valpolicella. A wine that is not only rich is flavor and weight, but one that is connected to a wealth of historical riches that are beyond our imagination. Valpolicella is a viticultural zone in the province of Verona, Italy, which is famous for the tragic love story of Romeo and Juliet. 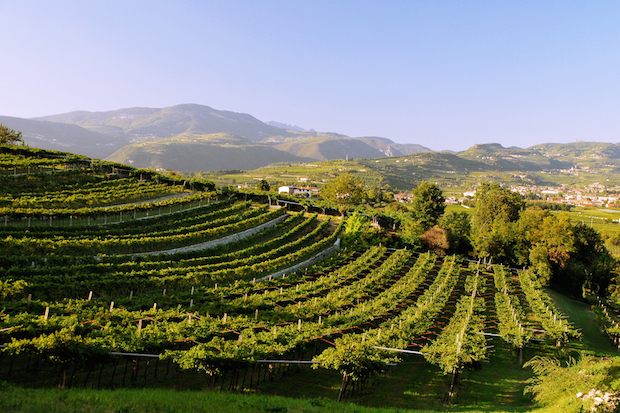 It is an area that produces wines filled with passion: Valpolicella, Ripasso, Amarone and the sweet wine Recioto. 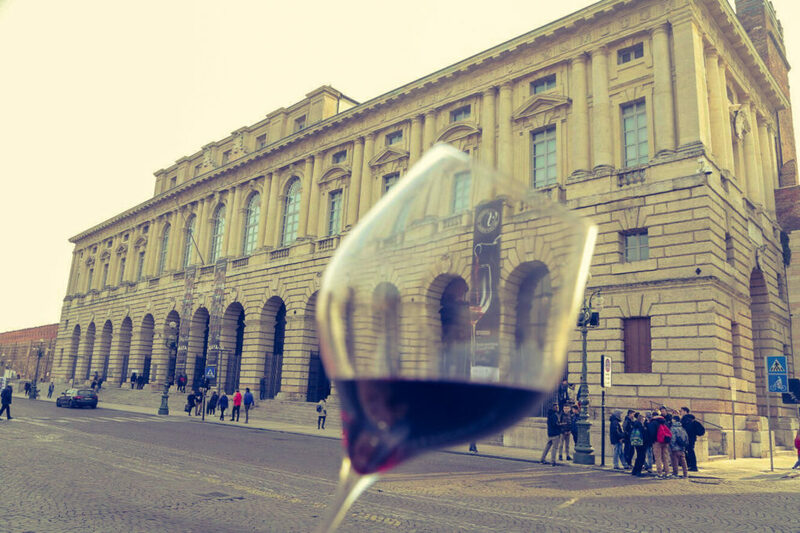 The wines of Amarone have held a prestigious place in the New York City market with its enticing richness, complex aromatics and generously silky body. 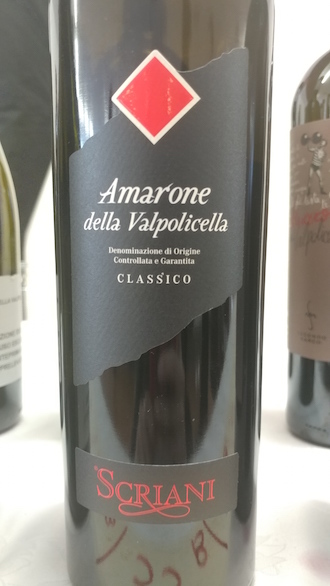 Amarone’s intricate seductiveness was always attributed to its unique winemaking process, especially considering it uses dried grapes to produce a dry red wine – typically wines made from dried grapes are sweet white wines. But as I was given opportunities to learn about the latest research, regarding these wines, from professors at the University of Verona I discovered that there are a lot more to these wines that are deeply rooted in their homeland. 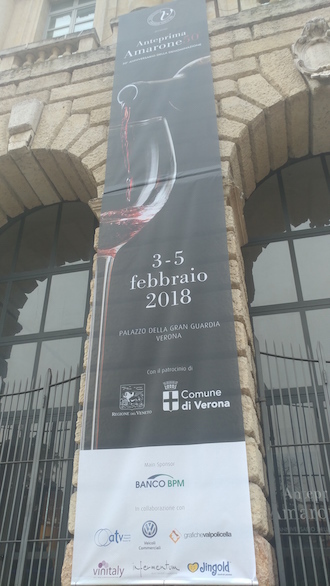 It was a fascinating experience to participate in the first Valpolicella Education Program held at the University of Verona as well as attending the Anteprima Amarone 50° giving me a chance to taste many of the 2014 Amarone wines from various produces in Valpolicella. This year was a particularly special Anteprima Amarone as it also celebrated the 50th Anniversary of the DOC (Denominazione di Origine Controllata), a category for Italian wines that guarantee quality as well as linking to a specific territory; Amarone della Valpolicella having the highest level of certified quality as a DOCG. Of course I knew the process of Amarone, which includes meticulously hand harvesting the best grapes as well as placing them through a drying process (appassimento) that can last 90 up to 120 days, is critical to producing this irresistible fine wine, but I did not realize that the origin of its appeal was much deeper. One of our professors at the University of Verona lectured in great detail about the ancient soils that were formed by shifts deep within the earth that took place over a 100 million years ago in that area of the world. The different layers ranged from limestone created at different points in history, oldest from Jurassic times, with some vineyards in Valpolicella having the added layer of volcanic rocks. Valpolicella fans out into many valleys that have different characteristics in the aspect, altitude and composition of the land. All of the Valpolicella DOC vineyards have the same soul yet each plot of land shows a distinctively different side of that same spirit. It was a revelation of how important the place was in terms to the final product of the legendary Amarone wine that was only enhanced by the drying process. Another piece of the puzzle of this wine was revealed with research that showed the dominant grape variety, Corvina, had many genetic alterations that would take place during appassimento – drying; unlocking a multitude of textural and aromatic delights from a land that has a potential for producing an array of vinous pleasures. 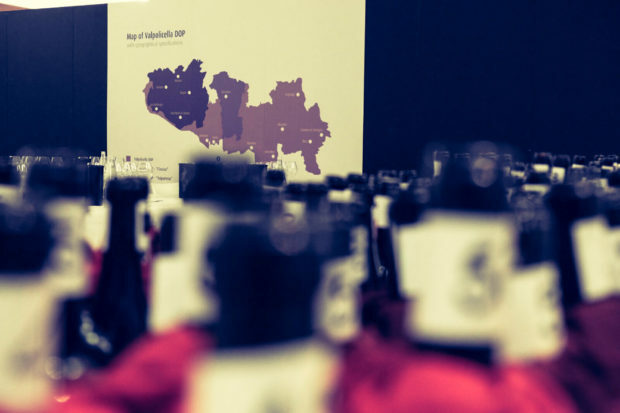 The Consorzio Tutela Vini Valpolicella, the group safeguarding the name and place of Valpolicella DOC/DOCG wines, realized that they cannot lose anymore time when it comes to protecting this place and its wines. 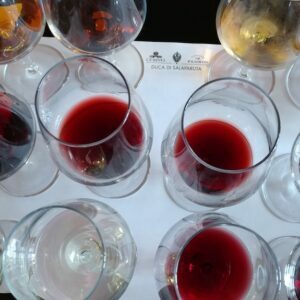 As more research results come out it becomes apparent why these wines have grabbed the hearts of many wine connoisseurs in New York City, why there are very few places that have been able to replicate such a wine as Amarone della Valpolicella, and why the center of the Italian wine world is seated in Verona. Valpolicella is a place that contains many treasures within the sediments of the past yet it is threatened by those who want to use the land for more financially rewarding endeavors that do not involve high quality winemaking. In a way, learning more about the geological intricacies of Valpolicella was an opportunity to get to know the real reasons for the deep attraction to these wines. The wide stylistic range of Amarone wines I tasted was thrilling with each wine showing a distinctive sense of place. Sometimes we become so consumed with the ideas of placing superficial labels on wines, just like people, that we miss out on those special encounters that can come from surrendering to the “real” experience of such heavenly libations. 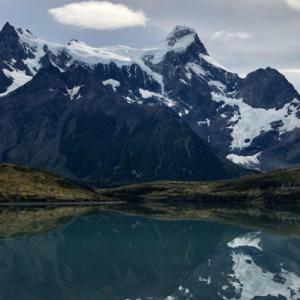 It makes me think that our existence is created by our level of commitment to learning about the world we live in… we can live in a shallow world, or one that has endless possibilities of delights that tickle the mind and warm the heart. The choice is ours. 2015 Pasqua, Romeo & Juliet, Passimento, Rosso Veneto IGT, Veneto, Italy ($14): A red blend of dried grapes of Merlot, Corvina, Croatina. This is not a DOC wine as it does not adhere to the strict restrictions but it is a fun easy drinking blend that could open the door to novice wine drinkers beginning their introduction to Veneto reds. I was fortunate to sit next to Umberto Pasqua, President of Famiglia Pasqua, during a gala dinner and he was excited by reaching a whole new audience with his Passimento wines that would lead to a younger generation discovering their classic DOC/DOCG wines of Valpolicella. The label of this wine is based on the wall below Romeo & Juliet’s balcony where visitors from around the world leave messages of love and passion. This wine has juicy flavors of blueberry jam and coco powder with a soft texture. 2016 Rubinelli Vajol, Valpolicella DOC Classico, Veneto, Italy ($20): 45% Corvina, 35% Corvinone, 15% Rondinella and 5% Molinara. Valpolicella DOC is a lighter wine than its Ripasso and Amarone siblings since it typically does not use dried grapes – although some producers are using dried grapes for Superiore levels. Although not as rich in flavor or texture this wine had lovely flavors of crunchy, fresh red fruit, wild flowers and an impressive saline finish. A wine that has so many food pairing possibilities. 2015 Vigneti di Ettore, Valpolicella Ripasso DOC Classico Superiore, Veneto, Italy ($25): 45% Corvina 30% Corvinone, 15% Rondinella and 10% Croatina. Ripasso is selected Valpolicella wine that spends 15 to 20 days on the skins of dried Amarone grapes and so they are richer, more structured wines with added complexity. I really fell in love with this producer when I was in Verona and tasted this 2015 Ripasso as well as his 2014 Amarone which was a challenging vintage. Ettore Righetti is the owner and manager of this small estate working with his grandson Gabriele. 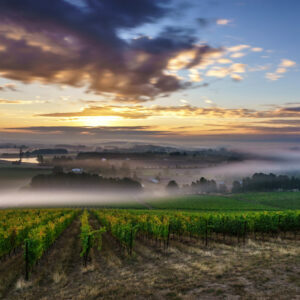 They produce wines with great vitality and purity of expression. Ripe raspberries, lilacs and stony minerality are carried through along the sustained finish. The 2014 vintage for Valpolicella was a challenging one that caused great stress due to difficulty ripening and battling the rain that brought disease. Much of the harvest was not used for Amarone della Valpolicella but for those that decided to make these wines in small quantities they picked the healthiest grapes. But it was a great opportunity to make a very different wine that showed the greatness of Amarone in a different way. 2014 Zonin, Amarone della Valpolicella DOCG, Veneto, Italy ($52 based on previous vintages): Not sure of blend but in previous years it has been 60% Corvina, 35% Rondinella and 5% Molinara. 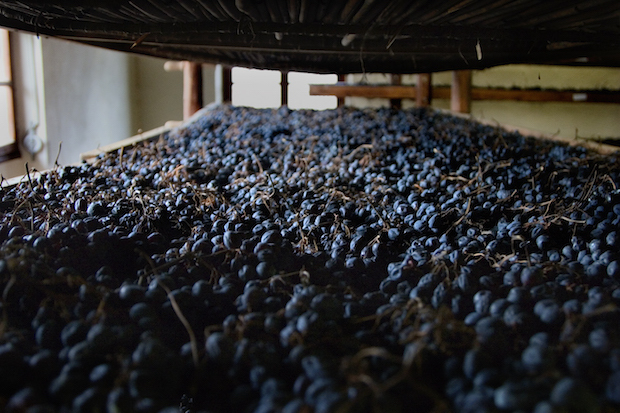 As I noted in the article above there is a strict selection for Amarone grapes and a rigorous process of drying these grape bunches from 90 to 120 days. Even after the drying process in 2014 some producers decided to not use many of the dried bunches for their Amarone wine. I have to guess that Zonin made the decision to only go with the most pristine fruit, as no flaws were detected, and the nose was enticing with espresso, mint and pristine fruit with a long floral finish. A wine that is lighter on the palate than typical Amarone yet it is aromatically powerful. 2014 Scriani, Amarone della Valpolicella DOCG Classico, Veneto, Italy ($51 based on previous vintages): Not sure of blend but in previous years it has been 60% Corvina, 25% Corvinone and 15% Rondinella. This wine simply blew me away with its incredible finesse and elegance. Cherry blossoms and sweet spice laced with limestone minerality with seamless integration of tannins, not so easy for the 2014 vintage, which had stunning precision on the long, expressive finish. It was exciting to see a small producer in the traditional “Classico” area of Valpolicella do so well in a tough vintage. Honestly, I haven’t paid much attention to this producer in the past but I will be looking out for Scriani wines in the future.